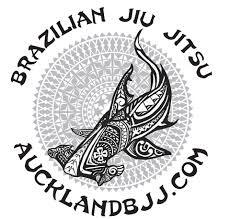 We just found out today that NZ grappler will use new rules for next week event. While SJJIF is not as established and prestigious as the IBJJF, I really like the content of the 70 pages with lot of pictures and also a very good video on their page. Scissor takedown is legal from brown belt. Time for matches for brown and black belt are only 8 minutes. l) Double Guard Pull: If at any point during the match both competitors pull guard with grips from standing at the same time, the first competitor to come to a top position shall be awarded points for a sweep after he/she maintains a controlling position on top of the opponent for a count of 3 seconds. Rules for double guard pull are as follows: i. Both athletes must have grips before pulling guard. ii. When both athletes with grip pull guard at the same time, one competitor must acquire a top position within 15 seconds or both athletes will be penalized with a negative point for lack of combativeness/stalling. iii. When both athletes pull guard, but only one athlete had a grip while standing the opponent must come up in order to not receive a negative point. iv. If both athletes pull guard without establishing grips first, both athletes will receive a negative point. v. If an athlete with grips pulls guard and the opponent either pulls guard or sits at the same time but without grips, if the athlete with grips goes up and establishes a top position for a count of three seconds he/she will be awarded two points for sweep. 43.5 Consequences for stalling will be as follows: a) On the first offense the offender will be given a verbal warning. b) On the second offense the offender will be given a penalty point. c) On the third offense the offender will be given a second penalty point, and the referee will restart the fight with both athletes standing. d) On the fourth offense the referee will disqualify the competitor. e) Brown and Black Belts will receive a verbal command and negative point upon the first offense of a minor foul (not applied to lack of combativeness/stalling).